Reindeer are incredibly interesting animals. Many people that come on a hill trip or visit the paddocks conclude this after learning a wee bit about them. I thought so too, when I first came here, and it’s one of the reasons I kept coming back, as a visitor, then volunteer, and now member of staff. What I didn’t know then was that the more I would learn, the more fascinating the reindeer would become! – Reindeer are omnivorous: they eat what they can find and in the harsh conditions they live in this does mean that the amount of shrubbery can be limited, which can result in them eating birds! A mighty rutting bull, strong as they look, is actually weaker than his female or castrated counterparts. I’ve learned the hard way, unfortunately, as we lost one of our beloved breeding bulls to a disease that sometimes can be cured if we spot it early. Even before the rut they will have spent a lot of energy in growing antlers, and their rutting behaviour is also very energy-consuming. This leaves them often exhausted by the end of it, makes them less effective in fighting off diseases, and causes them to go into winter with less energy reserves, which makes it harder for them to cope with the harsh winter conditions. 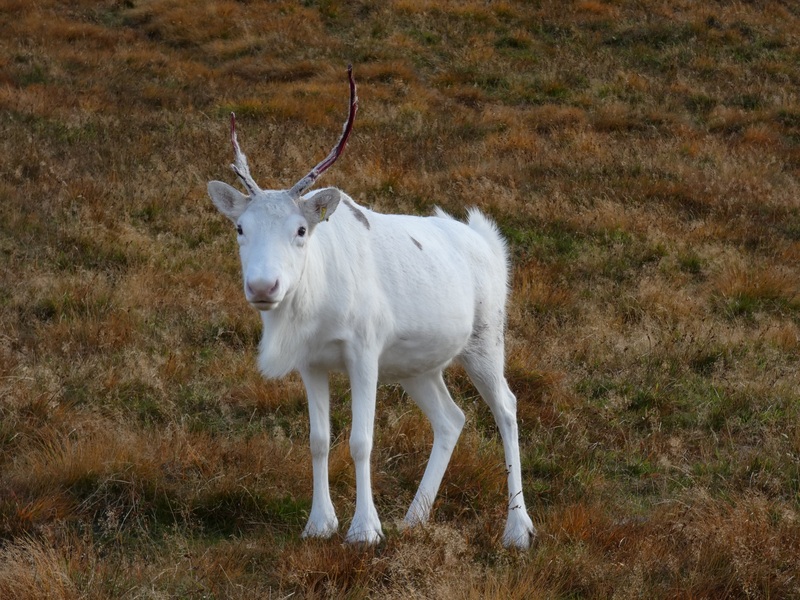 White reindeer that have leucisim (partial loss of pigmentation) can get sunburned in summer. We sometimes put sunscreen on their faces to prevent this from happening! Even when we let a female reindeer in with several breeding bulls, we can still figure out which of the bulls was the father if she gets a calf later on. The simple reason for this is that they come in season for one day only, and this is then repeated in cycles of 3 weeks. A reindeer’s pregnancy lasts 221 days so when the calf gets born, it’s a simple calculation of with whom she was that many weeks ago when she was in season, and then we know the dad! 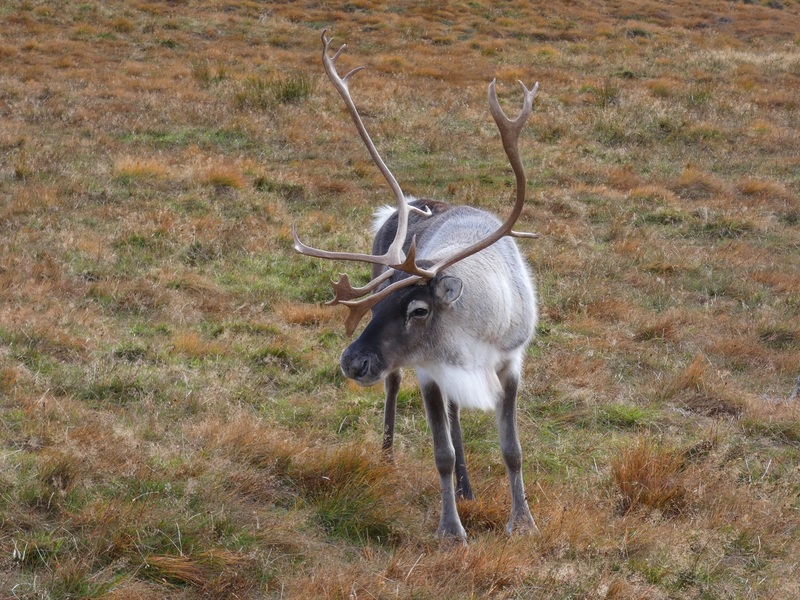 How long reindeer keep their antlers for is affected by hormones. It is for this reason that Christmas reindeer (who are all castrated) keep their antlers longer than breeding bulls. If we contracept females for that year it may cause them to loose their antlers early too!